Cheers guys! I should be hearing news about the CNC on this tomorrow so hopefully I will have some more news soon. SurfinBird, thanks for your kind words! Thankfully there is zero risk of driving the saddle out of the slot by overtightening the screw. Basically, the screw ends in a 90° cone and is driven in at 45°, so looking at it along the strings the tip of the cone is like an L shape, and I've sized the channel in the bridge so that it will only ever come into contact with the side of the channel, never the bottom. So as you do it up, you're tightening it against the side of the channel, not the bottom. I hope that makes sense! The point of contact is flat against the side, yes, but the force is acting downward just as much as it's acting sideways, being 45 degrees. So with no force acting downward on the saddle, the set screw will push it out of its seat. Think of it this way: The saddle wants to go in the exact opposite direction of the screw. But there is downward force from the strings. Plus the upward force would be minimal unless you tork those set screws down something fierce. Also the point of contact is sideways, so the screw will want to go sideways, locking the saddle in place against the side wall of the saddle slot. The force would be acting upwards of it had something to act upwards against, but it doesn't. Dimensionally, the set screw is only making the saddle wider, not taller, so there won't be any force on the saddle pushing it upwards. So the force and friction on the threads is only horizontal, not at 45° parallel with the set screw. But that's still going to lock into the threads and allow you to tighten them. The force on the saddle is coming from the threads of the screw and that is in a direction parallel to the screw. Equally back and upwards. You can't just discard the vertical component of this vector force. The set screw is making the saddle taller, at least theoretically, dependent upon the geometry. But the salient "point" is that the point of the screw is moving both out and down from the saddle as it's tightened. The shape of the tip of the screw isn't all that important. However, as suggested above, the strings will certainly provide adequate pressure to keep the thing in place. Maybe even the sliding friction between the saddle and its channel would suffice. The design is basically a tune-o-matic with free floating saddles. Why not just use the established layout for intonation where they're held captive by bolts running string-wise through the bridge? This would leave you with what is essentially a tune-o-matic geared toward offsets, with the proper radius and built for rocking but no reinvention of the trickier stuff. This looks like an interesting concept. I'm looking forward to seeing the outcome. Definitely interested in where this goes. Good work! The established layout is fine, but the threads are not locked when using such a system and this can cause rattling or unwanted movement / drifting along the threads in time. On a Strat or Tele bridge, you have the same situation but due to the increased break angle, the string exerts a greatly stronger pressure on the saddle diagonally which keeps the height adjustment screws and the intonation adjustment screws fairly 'locked in' to their threads, both roughly equally. The problem with the offset bridge (the original) is that the shallow break angle vastly decreases the downward pressure on the bridge (which keeps the height adjustment screws locked to their threads) and almost completely eliminates the forward pressure (which keeps the intonation adjustment screws locked to their threads in kind). This is why rattles can emerge with the original bridge, and why people have been doing all sorts of things with loctite etc. The set screw is making the saddle taller, at least theoretically, dependent upon the geometry. But the salient "point" is that the point of the screw is moving both out and down from the saddle as it's tightened. The shape of the tip of the screw isn't all that important"
It's not a force acting along the set screw axis that is engaging the threads. It is only the lateral force 45° to the set screw axis that is doing this. The shape of the tip of the screw is important only to the extent that it gives a vertical line of contact with that side of the channel, which will be more stable than a single point like you'd get from a normal flat tip. It's not important for providing the friction, as that is dealt with by the lateral force of the threads transferring to the other side of the bridge, and it's the other side of the bridge in contact with that side of the channel (the opposite side from the set screw tip) that locks the saddle in place. The string tension itself compressing the saddle into the slot is a factor for keeping it in place whilst you adjust the saddle, but is tiny when compared to the torque you can put into the set screw to lock the saddle in place. It's the weakness of this force that creates the rattling problems on Jazzmaster bridges with too many loose parts in the first place. For an illustration of this, think how easily you can turn a height adjustment set screw in any Fender bridge directly against the downward force of the string to raise it up - and that's with way increased pressure on a Strat or Tele. *I want to make it clear that I'm in no way some crazy 'purist' when it comes to things like this. I won't be changing out the bridges on my vintage Jazzmasters because those bridges belong on those instruments, and they work perfectly well for my purposes. I'm not going to chuck my '65 in the boot of my car and go touring with it for 6 months of the year, much as I wish I had the talent to do so! I understand the explanation of your thinking regarding the direction of forces but your thinking is wrong. Or incomplete, anyway. What the screw is contacting at the tip is irrelevant to the forces acting along the threads. The fact is that the tip isn't moving because it's held in place by the side of the channel, which could just as easily be the bottom. When the screw turns but cannot move forward, the saddle will be drawn along its length. Like every bolt and nut ever created works. I think the tune o matic/adjust o matic threaded fixed shaft is a safer bet and that you ought to just work on some robust saddles for that configuration that don't rock or that can be locked in place. Like maybe with a companion nut on the shaft. Also, in the spirit of improving on the original, efforts to lock the strings to the saddles might be worthwhile. This is where Mastery went completely off the rails. They fixed the bridge AND made slippery saddles. The opposite of Leo's intention on two fronts! Why not just use a roller TOM for like 1/10 the price? The ideal stock bridge rocks freely and allows no slippage of the strings over the saddles, thereby becoming a pure pivot point. Your bridge could maybe accomplish that if you came up with a way to lock the strings down. Overkill maybe but why not, if you're going to the trouble? Cheers for your reply, I actually think we agree on a lot! I totally agree that locking the strings into the saddles is the ideal, but I couldn't make it work without impeding the string surface for palm muting, etc. There is one way I could make it work locking them side to side, but it would require an exact string gauge which just isn't practical. Roller bridges have the same problem as the intonation screws of the original - for the rollers to work at all, there needs to be at least some slop side-to-side for the thing to turn (and considering how you strike a string, side-to-side is the worst slop you can have). That's true of TOM rollers as much as the threaded concentric rollers ala Schaller. I'm not saying it can't work or that any guitar with them is junk, far from it. In fact only a fixed post roller bridge is really appropriate on any Tele with a JM bridge and Bigsby B5 - the break angle is too great for the rocking system to work and it will tend to topple the bridge towards the neck. Incidentally that's why I have calculated the optimal fulcrum point for the string break angle on my own guitar designs, and it's a good distance towards the neck. This also aids in raising the strings up when you depress the vibrato which helps with the increased string amplitude at lower pitch, but that's another story. On the subject of the 45° saddle locking screws, like I said earlier in the thread I have another bridge that is designed this way and it locks up completely. There's no way you can tighten it too far because it's tightening against the channel. It works like a charm! Think about it like this. How far would I have to tighten it to raise it by 1mm? Well, using Pythagoras I'd have to extend it about √2, which is about 2 turns of an M4 0.7mm pitch. But I don't even have a sixteenth of a turn until it comes into contact with the side and won't turn any further. It doesn't care what you're tightening it up against - once it's blocked by one or the other it will lock up and tighten! We'll never 'find out' how many turns it takes because it will stop turning! It won't turn without also extending, and it can't extend because it's constrained laterally. That's good news that it does actually work. That means the frictive force of the channel walls against the side of the saddle and the tip of the screw is enough to oppose the lifting force. Something else I was going to mention is the G&L locking system where all the saddles touch and there's just one set screw on the outside edge squeezing them all together. Just found this thread - looks interesting, and I like a lot of it. I read through, but I maybe have just missed this - was the only reason for not using a standard TOM/JM/Staytrem sort of adjustment screw only because you want each screw in the bridge to lock? Or was this also part of your idea to lower the overall profile? I guess I share some concerns about how solidly the saddles will lock - it sounds like tolerances are low, so it shouldn't have a lot of movement in the system, but I worry about a string breaking during a show, and you continue to bash around on the guitar because you are the sort of fellow who bashed it hard enough to break it to begin with, and the saddle flies off and down a crack in the stage where it starts a family with all of my old Les Paul switch tips. I guess you would make the set screw short enough that the end of it is actually flush/recessed when set? With tele bridges if you don't cut down and round the other end, these height set screws are right-hand hand murderers. It seems to possibly replace security of the saddle in the bridge with security of intonation, and I don't know that I've ever experience high quality bridges that have issues travelling along the standard intonation adjustment screw. Fixing a problem that isn't really a problem? As someone mentioned, losing the ability to really fine tune the intonation seems possibly tricky? I played a guitar with the RD bridge that the Fender CS has been putting on some JMs (I guess they make them individually for each guitar? ), and I see some similarities in your design w/ the flatter base that I liked in the feel of that bridge. I can’t get on board though, because the intonation/lock screws are on the bottom. I use a lot of different bridge designs, and modded my own too. Apart from the nice aesthetics and ‘support local’ ethos, I don’t see a strong need to buy one of these when decent Mustang bridges are out there, even with a Staytrem reduction. Hey Bob, to answer your concerns there's absolutely no way breaking a string will release the saddle it's totally locked in. Looks like an interesting engineering headscratcher! 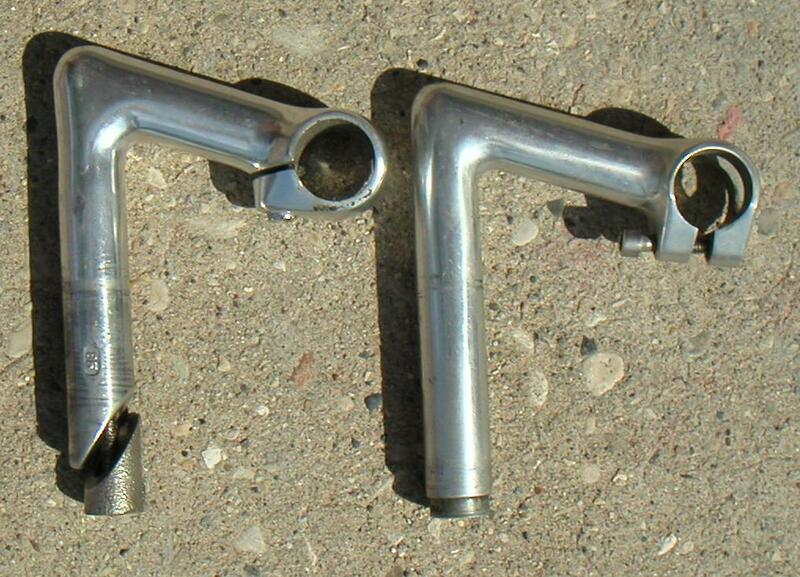 I'm wondering if there is some sort of expanding-bolt arrangement that you can use to lock the saddles in place - something like a bicycle stem. Also, you could have a setup with one cam-shaped bolt that presses all of the saddles together against the bridge base, which could cut down on the number of parts. I'm curious to see how this project turns out! !